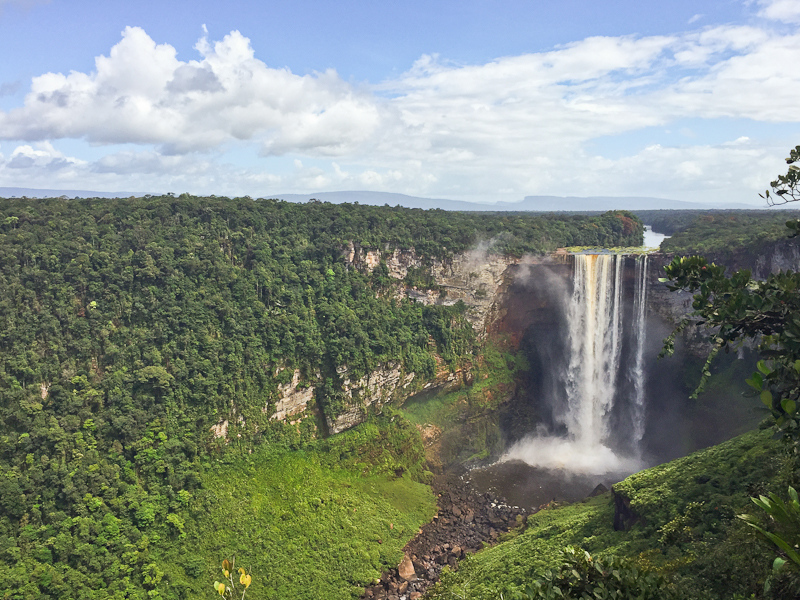 Guyana, South America might be under the radar, but it’s an incredible destination. A visit to Guyana, South America is packed with adventure, nature and culture – all in equal and astounding measures. The debate rages on about which country is the best when it comes to experiencing the Amazon and its wildlife. You might be surprised to learn that there are several experiences that makes Guyana stand out from the rest. Here are some of the unique things to do in Guyana that will convince you to pack your bags. 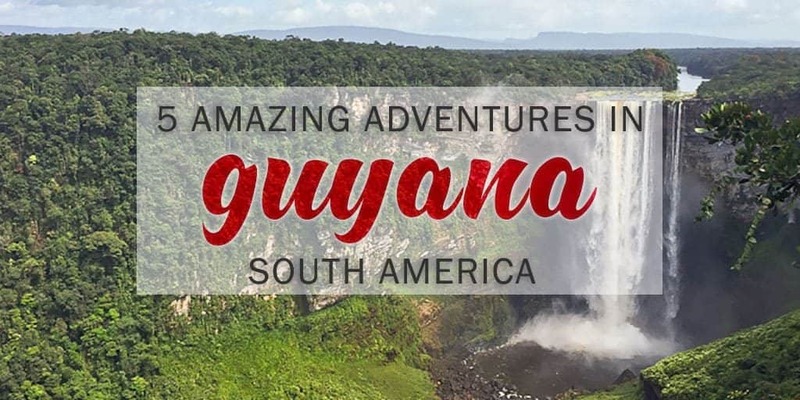 Here’s an exciting adventure that will make you want to visit Guyana instantly. It requires courage, strength, and technique. Fear not, you can learn abseiling at Mount Roraima, which is definitely a bucket list experience. Of course, climbing down a vertical rock, clinging only to a rope is not a challenge for the faint of heart. Mount Roraima is in the western mountainous region of Guyana, South America. It’s not a typical Guyana tourist attraction, but one for the adrenaline junkie in the crowd. Even if you don’t consider yourself to be super adventurous, abseiling is a fun activity that you should try. It’s organized by professional outfitters for both amateurs and professionals alike. You’ll be under the strict supervision of trained instructors and experts. 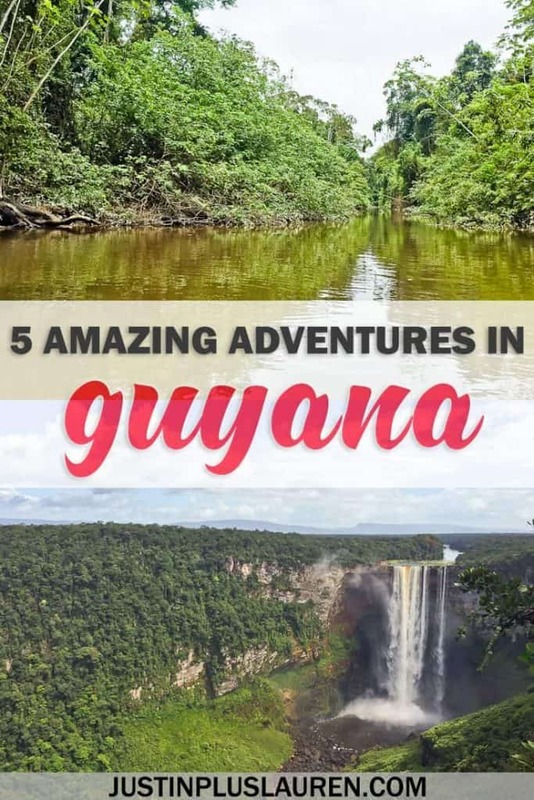 It’s not only one of the amazing things to do in Guyana, but it will give you serious bragging rights when you return home to your friends and family. Here’s an authentic experience in Guyana like no other. While you may have witnessed crocodiles and alligators on TV screens from the comfort of home, spotting caimans in the rivers and creeks of Guyana, South America is particularly intriguing for wildlife enthusiasts. You’ll find caimans in the marshes, lakes and rivers of the country. Shy around humans, you can spot caimans best at night when their eyes are seen shining in the dark. 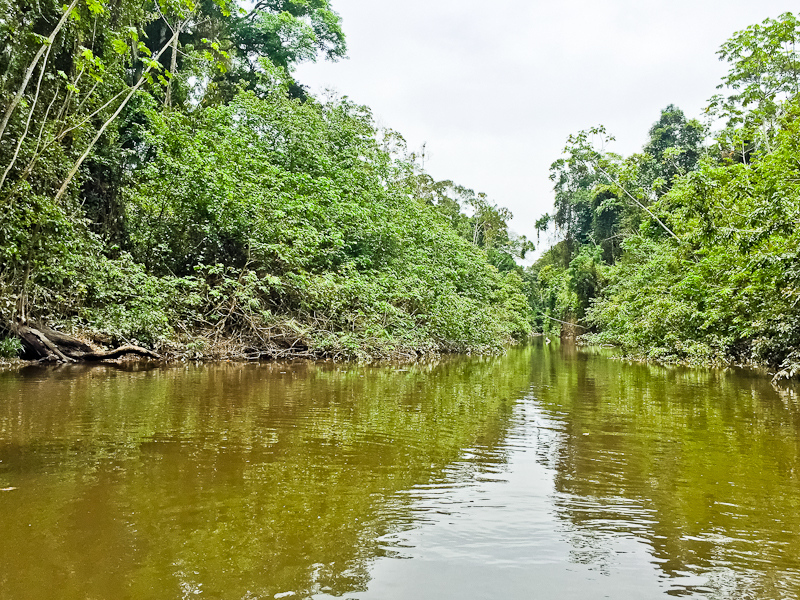 You can board a night boat safari into caiman inhabited waters, along with trained naturalists from various eco-lodges in Guyana. 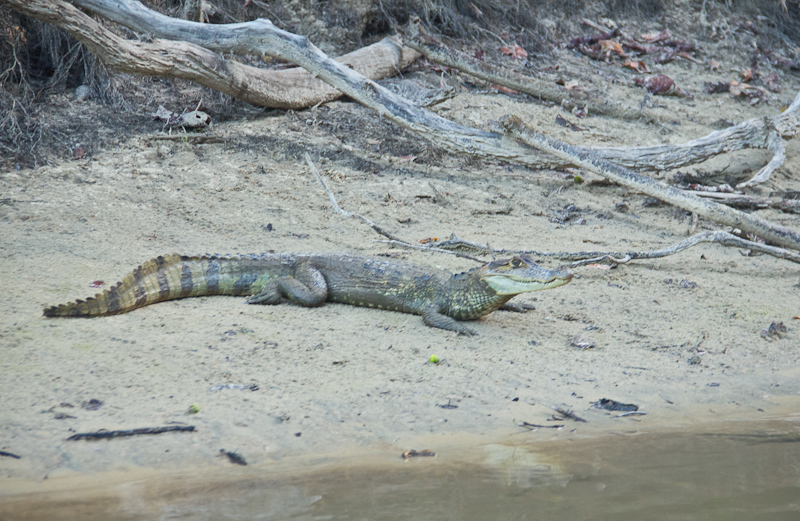 The guides capture wild caiman in the river to do a health check and measure their growth. You can tag along for the exciting, though completely safe activity. 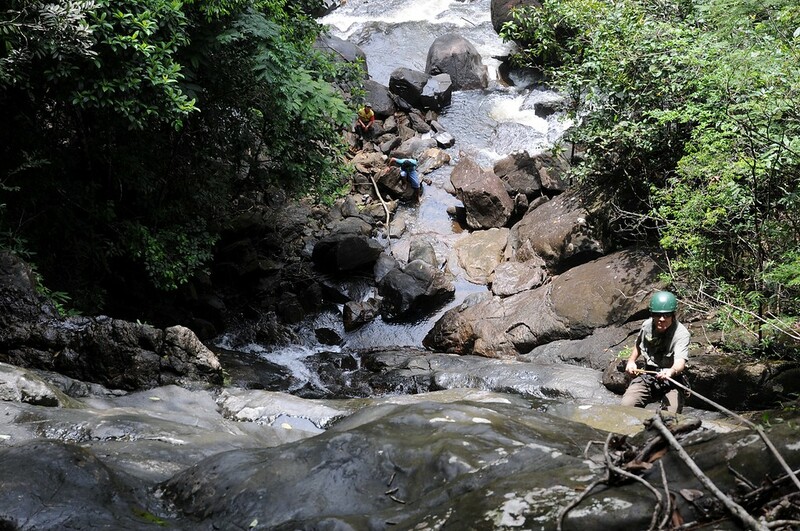 It is one of many exhilarating Guyana tourist attractions and one only the lucky few get to experience. 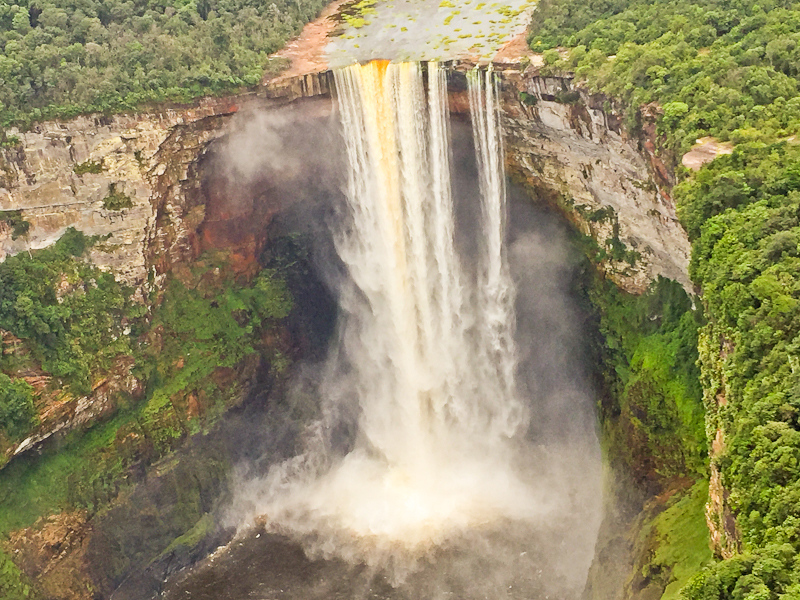 The idea of visiting another waterfall may not sound exciting if you are a seasoned traveler, but the awe-inspiring Kaieteur Falls Guyana is bound to change your mind. The 741-foot waterfall plunges into a gorge, completely surrounded by dense rainforest. The magnificent curtain of water is one of the largest waterfalls of the world, even beating the more popular Niagara Falls in sheer volume of water. What makes Kaieteur so unique? You can get here by a small Cessna plane (four to 12 seater) to get an exclusive view from up above. The pilots will fly by the falls twice so everyone can catch a peek. Remember and take photographs to memorialize this trip of a lifetime. 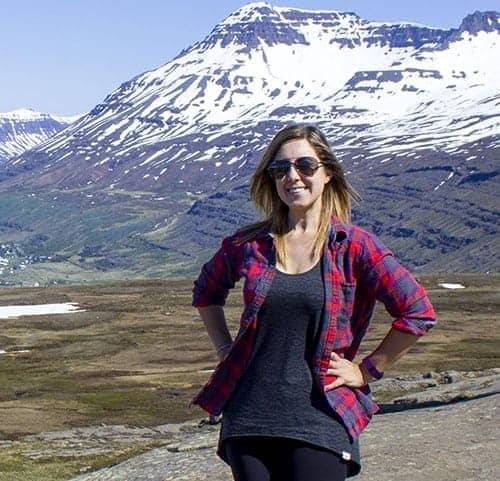 You can get up closer to the waterfall when the plane stops to tour around several stellar viewpoints. There is nothing more inspiring than spending some time in the indigenous villages, deep in the rainforest of Guyana, South America. Dig into crusty cassava with curry, cook-up rice and pepper pot at meal times. Hang your hammock in a breezy benab for an undisturbed sleep. 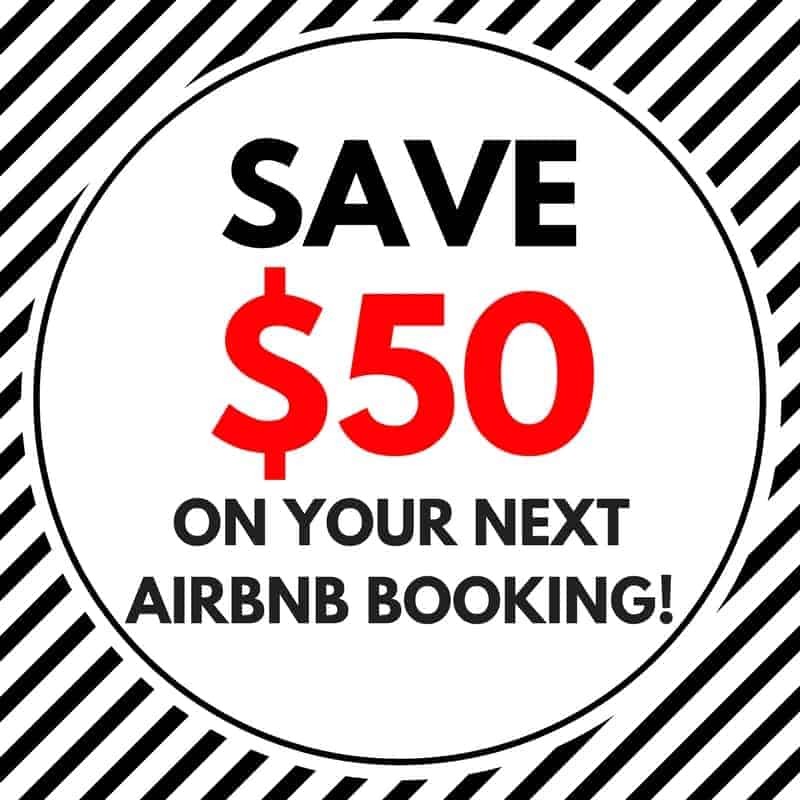 Alternatively, experience one of several community-owned eco-lodges. While some villages are slowly modernizing, most still retain their traditional way of life. Go birding and wildlife spotting or lend a hand in the fields to learn about traditional farming practices. The unhurried ways of living close to nature is rewarding and invigorating. Speaking of birding and wildlife spotting, Guyana is the place to be if you love nature and wildlife sightings. There are over 700 bird species that live in Guyana in a rainbow of colors. In fact, Georgetown has the largest number of bird species among and capital city in the world! The Amazon Rainforest and the vast savanna provide an ideal habitat for bird life, including species like the harpy eagle, sun parakeet, and red siskin. Whether you travel to Guyana from dry season (September to March) or wet season (April to August), you can spot many birds any time of the year. While it’s more challenging during the wet seasons, travel by boat along the many rivers and streams to spot wildlife living by the water. Here’s a list of local tour operators who can help you plan your perfect trip to Guyana, South America. This article originally appeared on Guyana Tourism.